We Can Answer All Your Gardening Questions! 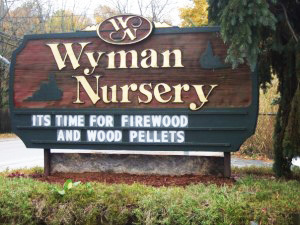 Wyman’s has also teamed up with the National Gardening Association (NGA) to provide you with this amazing online resource. Tap into the expert knowledge of the NGA and get a personal email response to your question within 48 hours. Go ahead, ask away. Or dig through NGA’s library of over 23,000 already answered questions. Search by subjects such as planning a garden, bugs, weeds, tomatoes, etc. Click here to visit the NGA website. Call or stop in today!